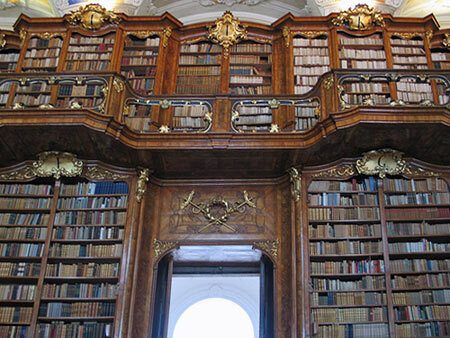 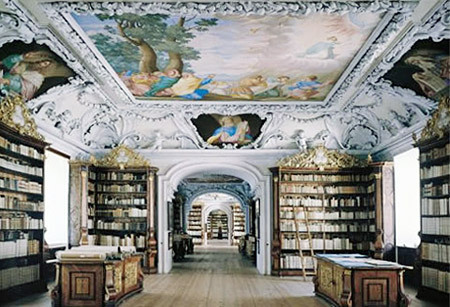 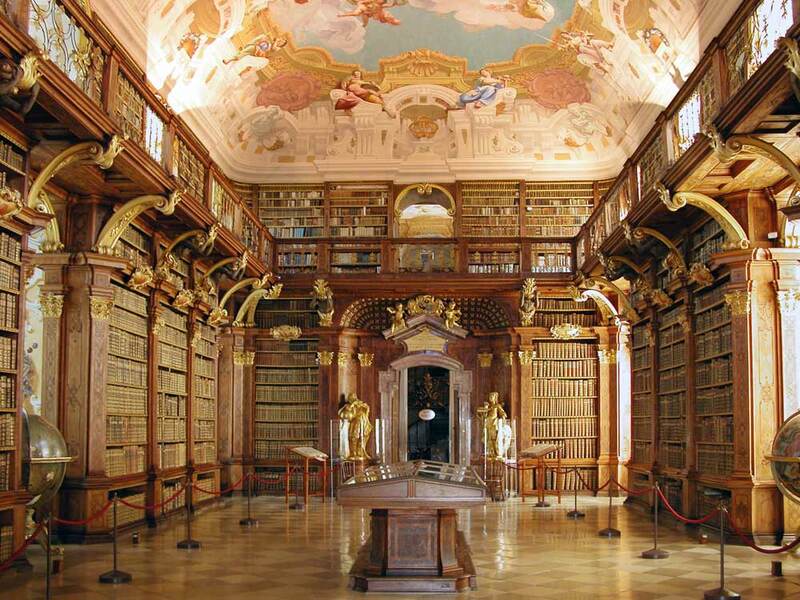 In many countries noblemen, the clergy, the government or rich people have built beautiful libraries. 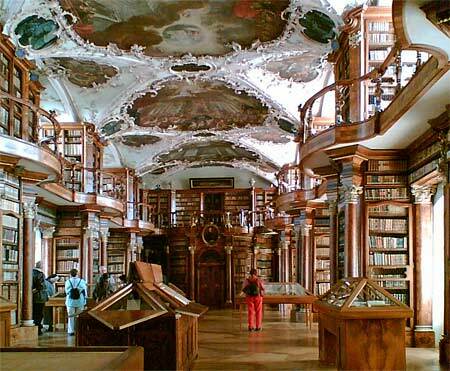 This page shows some stunning examples from Austria & Switzerland. 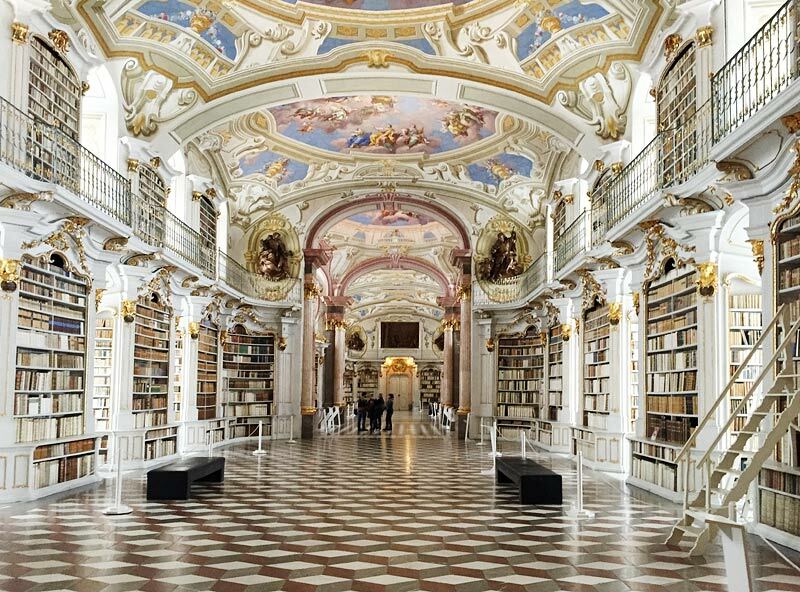 Can’t get enough of such pictures? 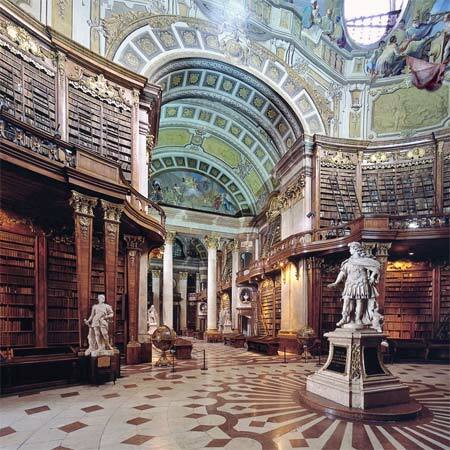 I took some pictures from various other libraries around the world.